Discrimination happens every day ever since the man’s history starts. Racism, gender, language, religious and many types of discrimination has led us into conflicts, between a few people, or various parties, or even different countries. My artwork is concerning about this issue, it is a ball painted in the Earth’s look, the message I want to send out is that although we are born to be an unique individual, we all live in the same planet. We share the resource available on this planet, just like a big family. It is more or less the same for all human being, for this equal rights to living. That’s why we should respect for each other. They are a series of design interacting with animals. I created this work inspired by an experience in visiting a farmland in TaiWan. Nowadays, HongKongers are used to live in a modern city, everyday aiming to earn their life and they become stressed easily. We are having fewer chances to live with the nature under such an commercial city, so when you once have a chance, grasp it. When I got to the country park in Tai wan, with such a huge Greenland and difference species living all together under the nature environment, I felt so relax and thanksgiving. It is true that in order to protect the animals as well as ourselves. We are not able to touch them or do any interaction with those lovely animals to prevent bacteria. Tourists are always limited outside railing and can only use their camera to take photo. At the same time, the animals are being limited inside the railing as their living area. At that time, many funny ideas rise in my brain and I am dreaming to play with them freely together without any limitation. That’s why I would like to create some characters to be like living together with them. In this era, blame culture seems to become a trend in the world, everyone has their own pressure and express it towards other people this makes us always live in a world of frustration and depression. Just keep on saying “do not get angry” or “relax” is no longer practical now. People should have an area to release their pressure to make themselves more comfortable. This is an installation which is a good tool for people to sweep away their negative feeling and emotion. It is able to refill those people with optimistic as well. As a result, they can express their anger on this installation instead of other people. This work is about remembrance. Roses come in a wide variety of colors, ranging from white, pink, blue, orange, yellow and red to nearly black. I am going to put the rose petals with different colors together to make some pictures about memories or some historical moments. I believed that everyone had some memories that cannot let go, and think about them in the nights that we cannot sleep. However, we all know that even we do not want to let go, but we had no choice. Flower is the same as memories. Natural flower is beautiful and everyone likes it, but also fragile and cannot stay long. “The Pearl of the Orient,” is the nickname of Hong Kong, it is well known for its spectacular night-lights. However we seldom see any stars at the city center, one can only see is a brightly illuminated sky background. With a densely populated city, the outdoor lightings in Hong Kong are everywhere. These contributed to the serious light pollution in the city. All those lights wash out the night sky ruining the beauty of the cosmos for all. NASA satellite map shows a map of Hong Kong light pollution. It’s beautiful and powerful but worrying. The wasted electricity used to operate these lights contributes to global warming. My project is about water pollution, and I hope it will arouse people’s awareness of water pollution. affects the environment, and affecting the environment also affects humans’ lives . In other words, there is a vital relationship between humans and water: NO CLEAN WATER, NO LIFE. In Hong Kong, most of the people will use lift every day. You will use it when you go to work, go back home, go to shopping, or etc. It may spend a lot of time to use lift in your life. 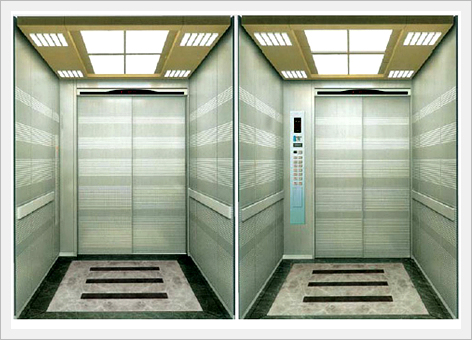 It is believed that it can be more interesting about the lift. This idea is inspired when a people falling down into an abyss. It just likes a lift going down. This project is named Elderly Smile. The main idea of this art work is to awaken the intension on elderly in the society. In the daily life of Hon Kong citizens, we always concentrate on our study or work. We always talks about future but not the past, talks about the next generation but not the elderlies. In fact, elderly is a group of helpless weaker. They were the one built our city, gave us a comfortable home. But when they lost the ability to contribute, we forgot them. In this work, I will try to take photos for elderlies in Hong Kong. All the photos will be smiling face of elderlies. When I collect enough amounts of photos, I will put it together and form a Hong Kong Island map. As I mentioned, elderlies have gave a lots in order to build Hong Kong. They are the founding base of Hong Kong. This art work will be displaced in different shopping mall, public area and museum. By making this art work, I want to raise a very important social issue, the welfare of elderlies. In Hong Kong, although elderlies over a fixed age can get subsidies from government every month, care and love for them are extremely lack. Since I like to take photos, so the artwork I would like to make is by taking photos. The theme of this artwork is “SKY”. And the name of the artwork is “UP THE HEAD”. Because I like to raise up my head and to see what can I discover. I really love to raise up my head every moment that I wish. Especially the sky, it can attract me a lot. I think that when we look at the sky, we can relax and release our pressure. But what if we look up the sky in Hong Kong? Hong Kong is full of tall buildings. The vision of the sky is becoming narrow. It is difficult to see the whole piece of sky if we stand in Central or Tsim Sha Tsui these commercial places. So I want to make a piece of artwork that can make a contrast with the other countries, which they have more open space and do not have tall buildings, take a photo of their sky, standing on their main city and compare with the one in Hong Kong. This is an indoor large-scale artwork. The idea of this work is let more people to what is karate, what is the spirit of karate. Many athletes will wear the fluorescent dogi (道衣) in a dark area. They will move some action of karate, such as punch, kick and so on. They will show the performance for 30 minutes, show up every 2 hours. Another half and one hour, there is a big television of the wall, the television will show the video of the traditional training and modern training, let the audience know how they strive and persist. On the show, every athlete have a red light surrounded on their wrist, so that when they move, the light will be a line or circle…then some images will save in their brain, but how can they keep in image? We will provide a camera glasses for the audience, they can capture the image by it, let them can take the image away, let them can remember this artwork forever. And also one explanation for the light, I chose red because red is representing powerful and strong, I think karate is a powerful material art!